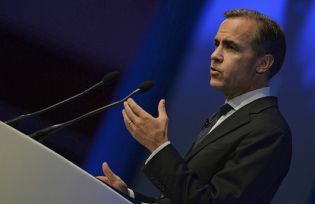 In a speech, Mark Carney told a gathering of leading insurers this week that the threat posed by climate change would “pale in significance compared with what might come”. The failure to rein in greenhouse gas (GHG) emissions would saddle future generations with potentially unmanageable costs. “While there is still time to act, the window of opportunity is finite and shrinking,” Carney told an audience at the headquarters of UK insurance company Lloyd’s of London. Carney said the UN climate summit in December should discuss an industry-led ‘climate disclosure task force’, where companies dependent on fossil fuels should provide detailed data on the GHG emissions they are responsible for. Groups that campaign for financial institutions to divest from fossil fuels, and those who are pushing for the impact of climate change to be reflected investment portfolios, welcomed Carney’s latest statement. His call is also seen as particularly timely as pressure mounts on the private sector to support efforts to negotiate a meaningful deal in Paris. Demand for coal in China has slowed sharply as the world’s largest consumer of the fuel tries to tackle pollution caused by the use of fossil fuel in power generation. However, an economic slowdown, new additions of renewable energy to the power grid and a plentiful supply of hydro power have also contributed. The meltdown this week in the share price of Glencore, one of the world’s biggest commodities companies, was a further reminder of the parlous state of the sector. However, producers claim prices for fuels, such as coal, will eventually recover in view of curbs in supply and demand from rapidly industrialising economies, such as India. And gas producers continue to talk up the prospects of a fuel that is cleaner-burning than coal, albeit a major source of GHG emissions too.